Nowadays, those who turn up at the Lower Manhattan Hospital in New York, also known as the New York-Presbyterian or simply the Downtown Hospital, may know that it is the only major clinical centre south of 14th Street. And perhaps they would know that their Emergency service was the centre of reference on September 11, 2001, when more than 1,000 people were injured in the attacks. 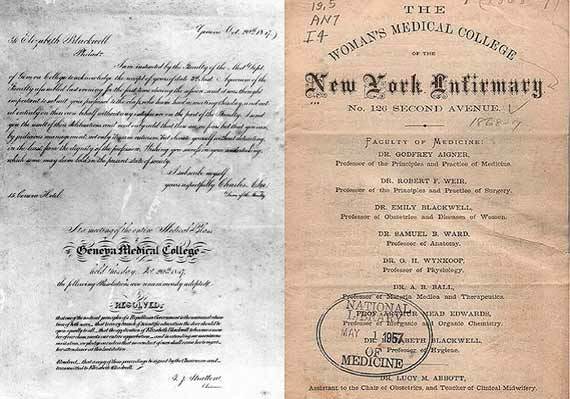 But they would likely not know that its origins go back to 1853 and that they are due to the indefatigable commitment of a woman, the first one to achieve a medical degree in the USA, and one of the first in the world. The stage upon which Elizabeth Blackwell (3 February 1821 – 31 May 1910) would chart a pioneering course in her life was set right from her birth into a large family in Bristol (United Kingdom), an environment in which personal development was favoured, equality of opportunity was fostered and advanced moral choices for the epoch were adopted. For example, her parents rejected physical punishment. And when the sugar refinery that sustained the family financially was burned and the Blackwells had to migrate to the United States in search of a new life, the father ended up devoting himself to beet sugar because of the repugnance he felt to the slave practices of sugarcane cultivation. However, medicine was far from Elizabeth’s interests. In her book, Pioneer Work in Opening the Medical Profession to Women (1895), she would write that at that time she “hated everything connected with the body, and could not bear the sight of a medical book.” When his father died and the family had to pursue a livelihood, the option chosen for her was teaching. But one day, a friend who suffered from a painful illness encouraged her to study medicine, assuring her that her sufferings would have been less if a woman had treated her. But this path did not open up to her immediately. While beginning to study on her own thanks to the books of a doctor friend, up to 29 colleges rejected her application for admission because of her status as a woman. And when she was finally accepted by number 30, the Geneva Medical College (New York, today part of the State University New York SUNY), it was kind of a misunderstanding: the professors submitted her application to the vote of the 150 male students, who believed that this was just a joke from a rival university. As if there were not already sufficient obstacles in Blackwell’s path, at the end of her studies she was gaining experience in a hospital in Paris when the infectious fluid from a child she was treating splashed into her eye. As a result of that accident, she would end up losing her left eye, which frustrated her desire to dedicate herself to surgery. But she never gave up. 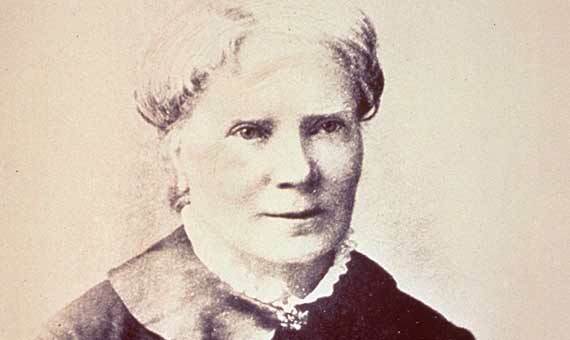 In 1853, upon her return to the United States, she founded a small medical dispensary in New York for women and children without resources. With the help of her sister, Emily, and her pupil, Marie Zakrzewska, four years later that seed would germinate into a hospital, today the Lower Manhattan, then called the New York Infirmary for Indigent Women and Children. In 1868, a medical school was added to the centre, run by women for women. One year later, now in full maturity, Blackwell decided to settle definitively in her native England. The New York school remained open until 1899, when all of its students were transferred to the Cornell School of Medicine. But her return to Britain was not for relaxation: shortly afterwards she founded the London School of Medicine for Women, now part of the University College. “It’s my nature to start anew,” she wrote, and she never stopped doing so, until a stroke took her in 1910, after having opened the classrooms of medical schools to millions of women around the world.